When it comes to tables, there isn’t a right or wrong answer for what works best. Each event is different and depending on the occasion, your theme and the atmosphere you are looking to create, a number of table options might work for you. Or perhaps you have specific space requirements and only a trestle table will do. Either way we are here to help and whatever your reason for choosing trestle tables, we have a fantastic trestle table hire service that can be used for a number of purposes. 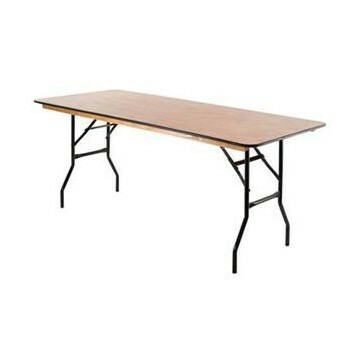 Trestle tables are most commonly used in marquees for either buffet or catering tables. 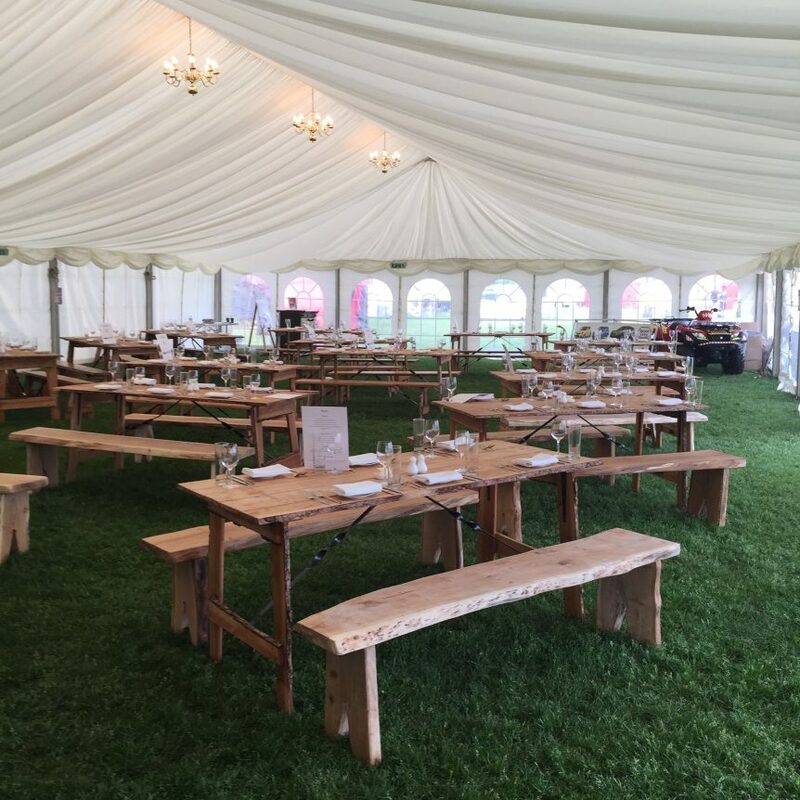 In this instance we recommend a 6′ x 2’6″ trestle table, which are ideal for laying out your buffet or to help prepare food in your catering tent. Whilst all these preparations are going on, don’t forget your guests out front. Our trestle table hire service is also ideal for drinks tables, especially when they have our champagne flutes or saucers on them. More commonly though trestle tables are a popular choice for dining. It’s a really social option and great for banquets and weddings. That’s why we’ve invested in wider 6′ x 3′ trestle tables especially for this reason. You can imagine after you have laid your tables with crockery, cutlery and glasses, along with any floral decoration there isn’t a lot of space left. That’s where the extra width of a 6′ x 3′ trestle table really makes a difference, especially if you are serving sharing platters to your guests. We also now stock 8ft trestles tables which are ideal for exhibitors at country shows or markets. We also now stock a selection of rustic furniture including our new rustic trestle tables, ideal for a more relaxed wedding or vintage theme.